Black Out Turn Signals for R55 R56 R57 R58 R59 MINI Cooper and Cooper S. For many years MINI owners have tried to get the proper look on their MINI. 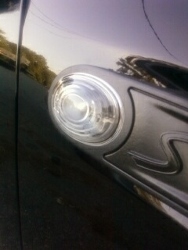 After many years MINI finally gave use these blackout fender turn signals. These turn signals simply snap on in place of the original fender turn signals, the difference in these is that they are not silver on the inside. They are black around the bulb giving it a kinda smoked look. 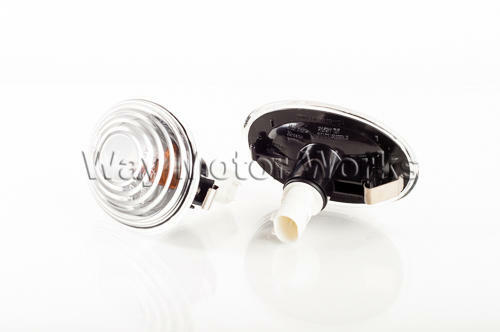 sold as a pair, one left and one right black out fender turn signal lens, these also include amber bulbs, and bulb sockets.